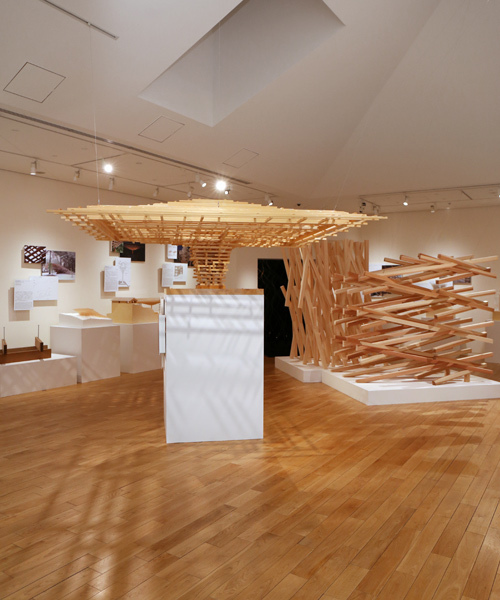 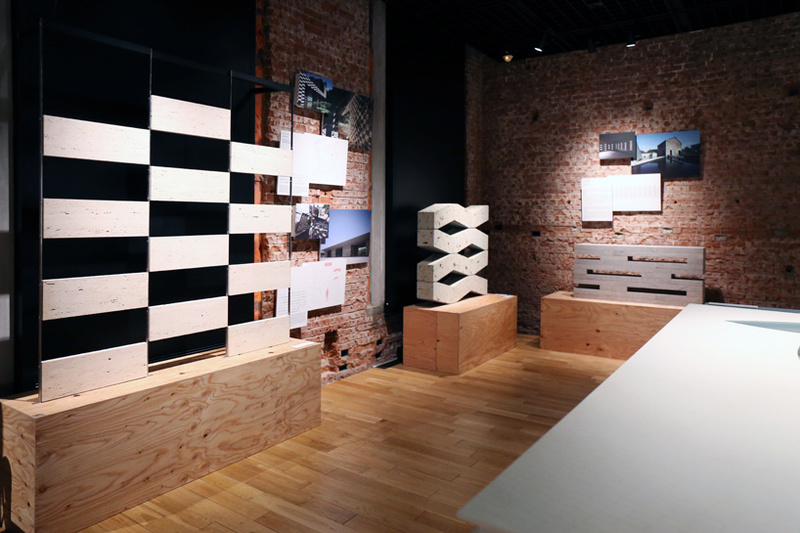 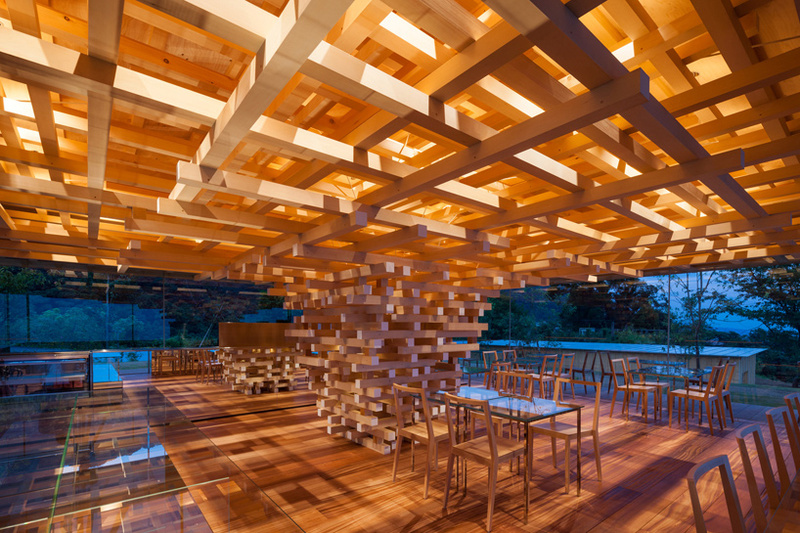 an exhibition that focuses on the broad range of materials used by kengo kuma has opened in tokyo. 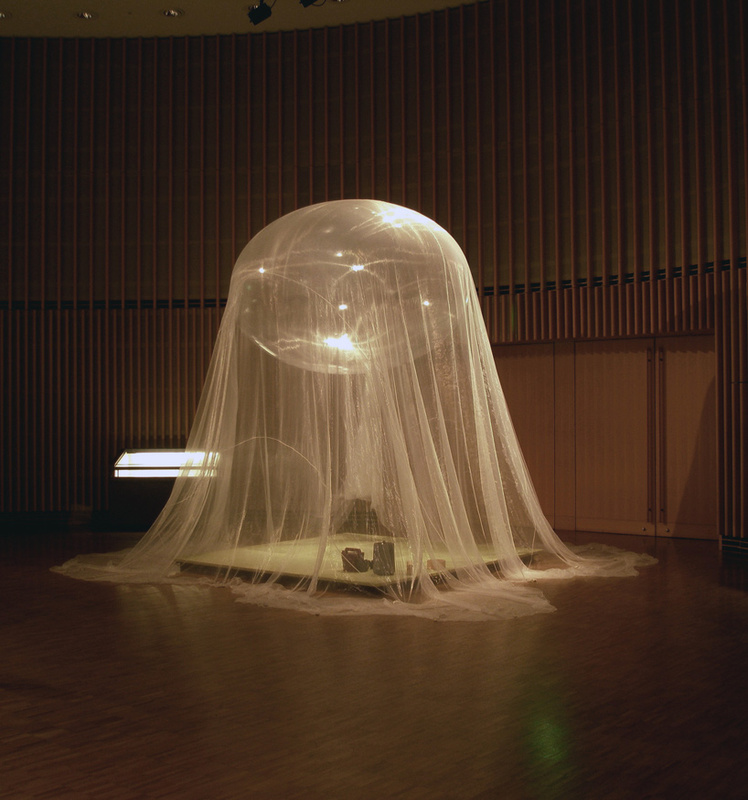 the display, which forms a major survey of kuma’s work from the past 30 years, places a particular emphasis on materiality, and arranges kuma’s projects not chronologically, but rather by their primary material. 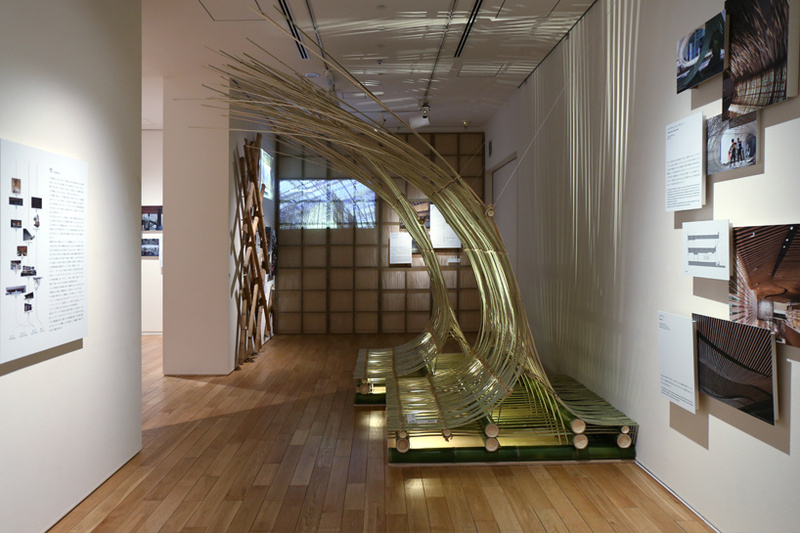 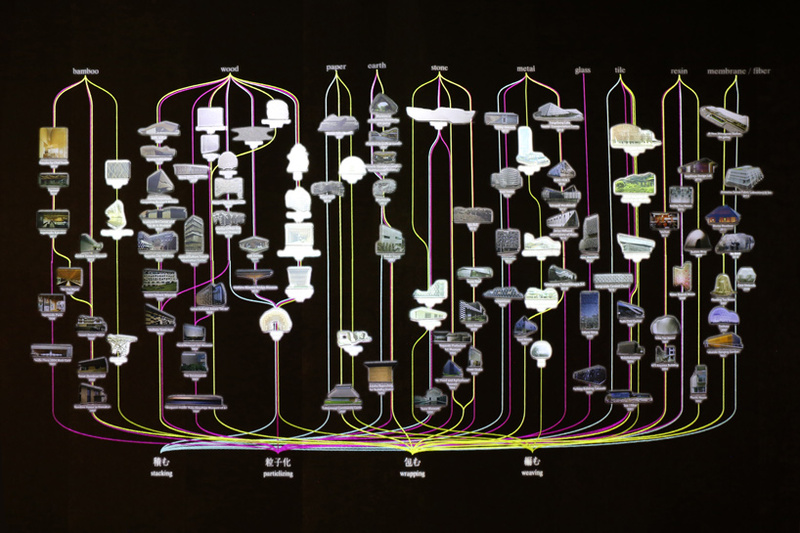 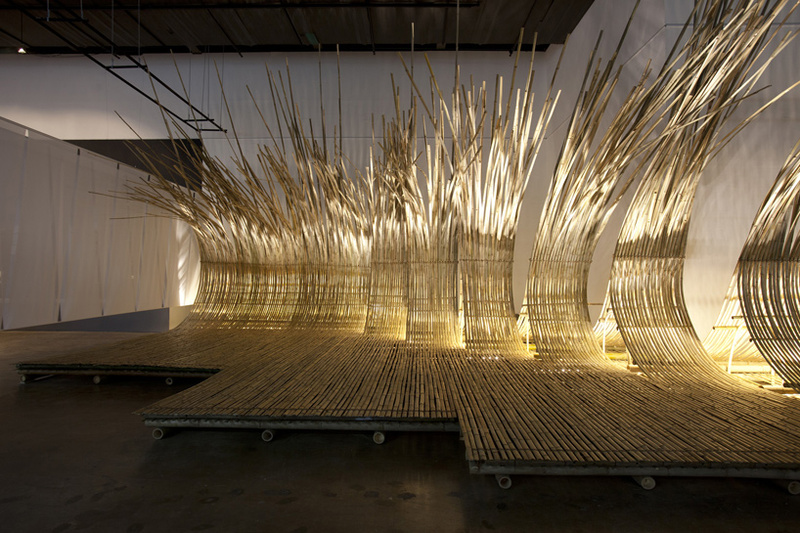 by organizing work into categories such as bamboo, wood, paper, stone, and earth, the presentation mediates between human sensibility and awareness and the larger environment. 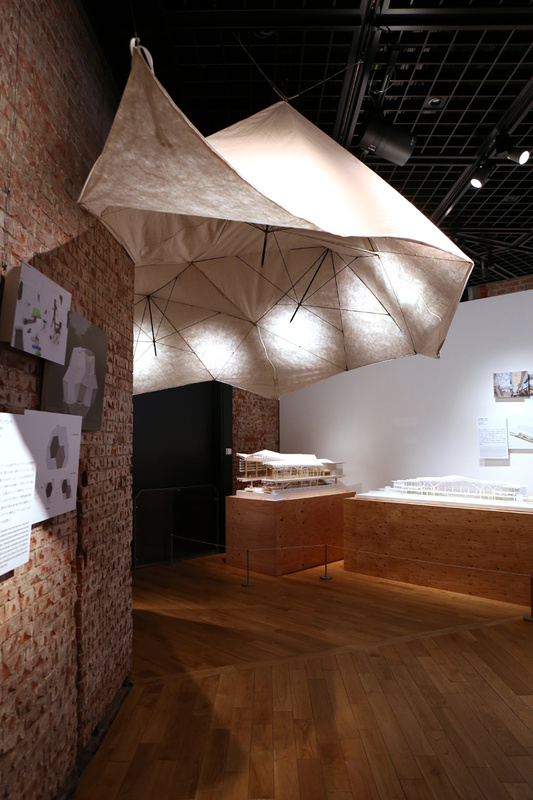 designboom was in tokyo to take a tour of exhibtion and get a closer look at the models and material samples on display. 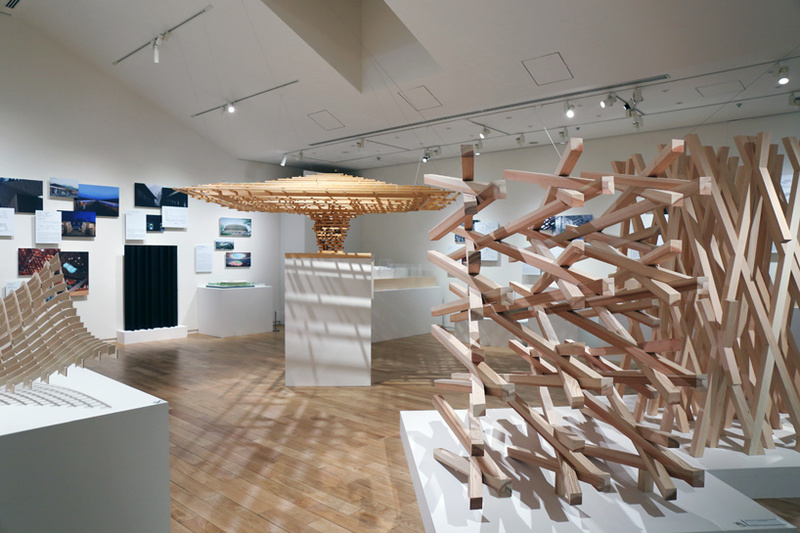 through models, mock-ups, videos, and material samples, the exhibition showcases kengo kuma’s work from a multifaceted perspective and presents the architect’s vision for the future of how materials and humans can relate. 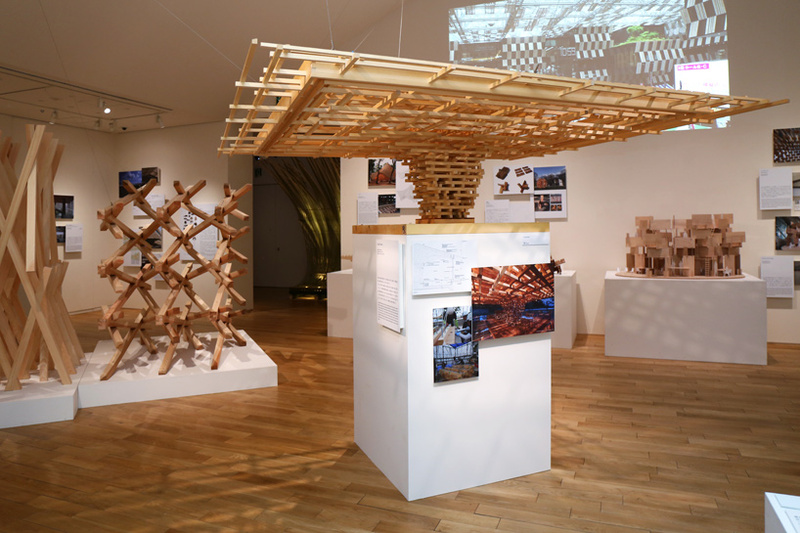 highlights include plans for a new pavilion built from bamboo, as well as previous structures that use material in innovative ways. 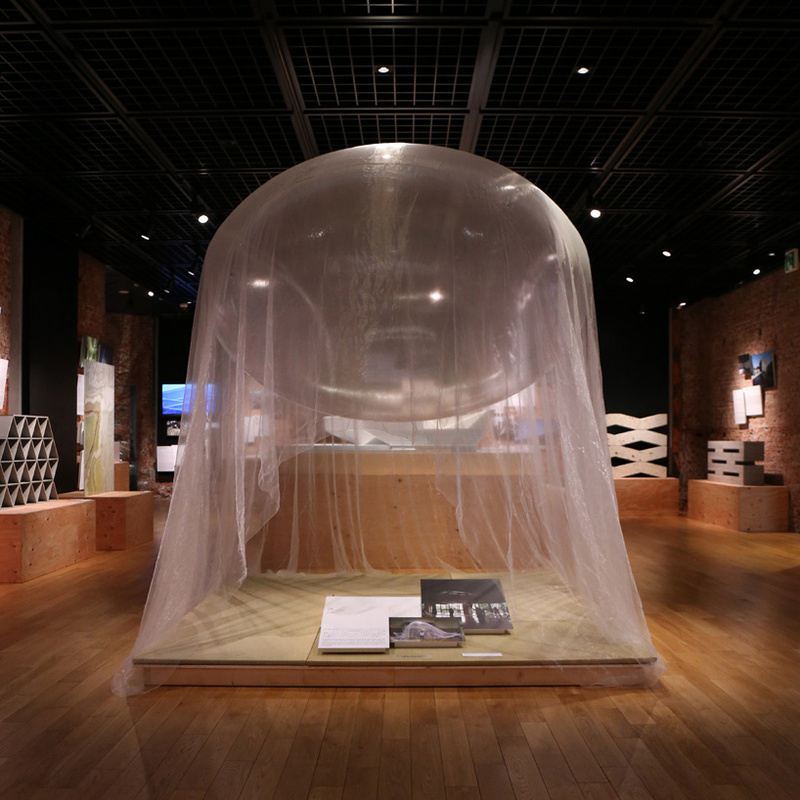 ‘a lab for materials’ is the first architecture-related exhibition at tokyo station gallery in three years, and the first to feature an individual architect since a show dedicated to the work of kunio maekawa 12 years ago. 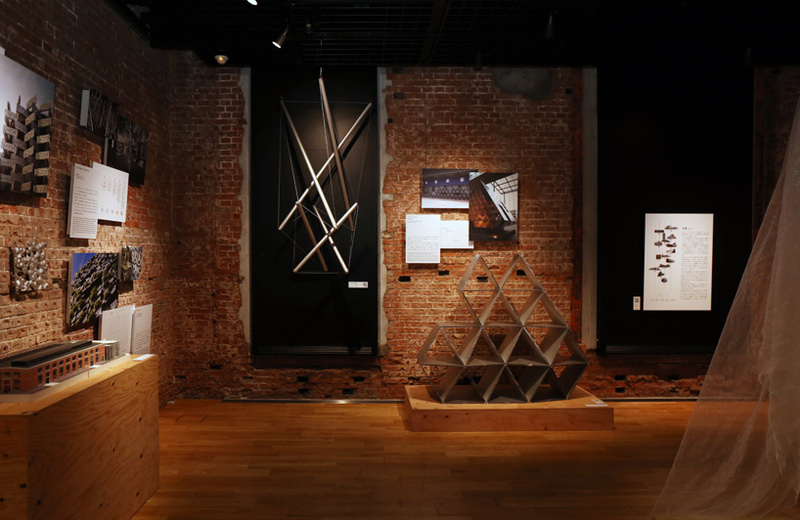 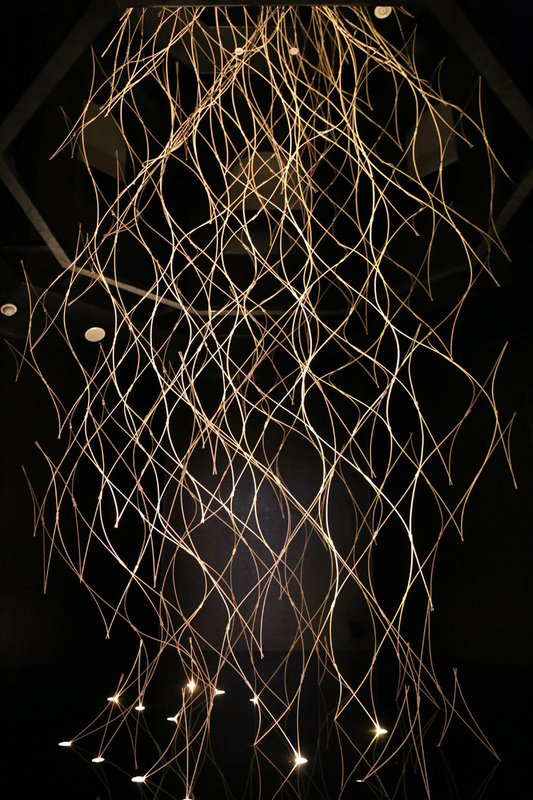 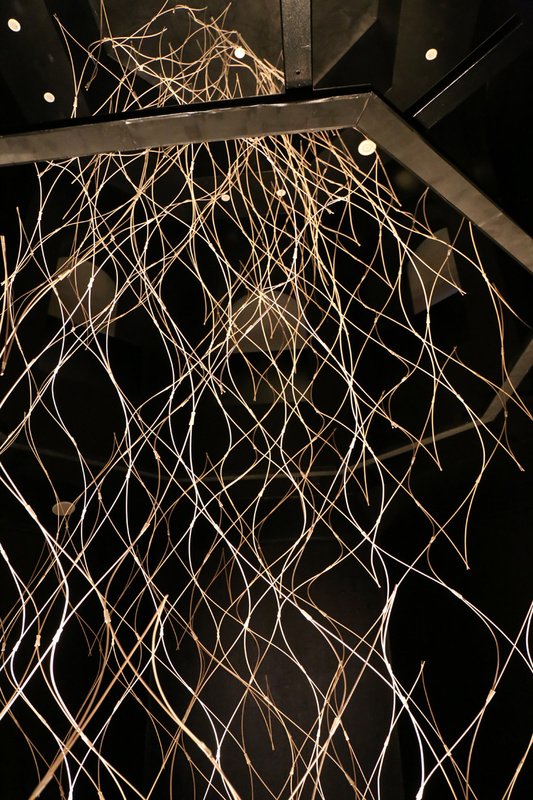 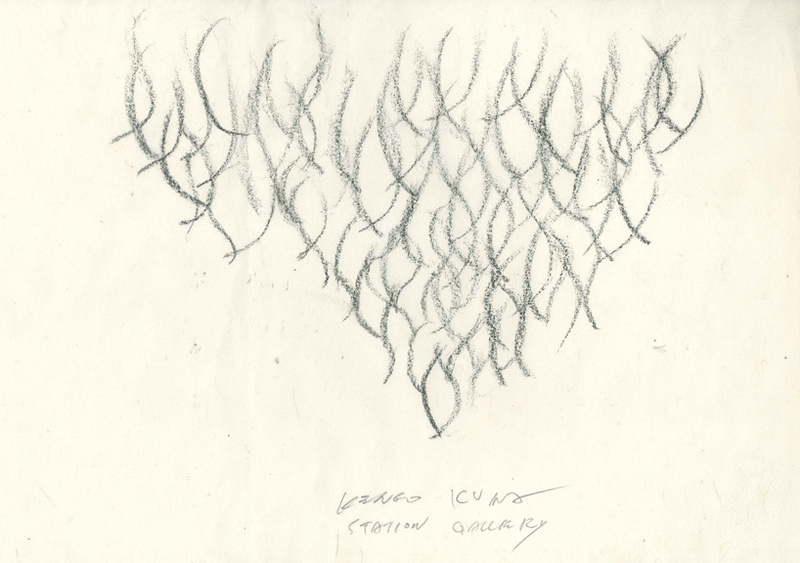 ‘kengo kuma: a lab for materials’ remains on view at tokyo station gallery until may 6, 2018.
with the cooperation of: shinkenchiku-sha co., ltd.